Unlimited opportunities for winter activities lie only a half hour’s underground ride outside Oslo. Here you can find great skiing opportunities with only a short distance to the city centre and all its facilities, such as cafés, after-ski and fine dining. Oslo, the winter capital, is first and foremost associated with ski jumping at Holmenkollen. But in addition to this, it can offer more than 2 600 kilometres of prepped cross-country tracks, some of which are flood-lit. You will also find several skating rinks, one of which is in the middle of the city centre. In the past few years, new and popular attractions have been added, such as winter walks and winter cruises. In Oslo you will also find more than 50 museums and beautiful outdoor attractions, such as the Vigeland Park and Akershus Fortress. Oslo also has a large number of restaurants, outdoor cafés, nightclubs – and a music scene which is among Europe’s hottest. Oslo is beautifully situated at the end of the Oslo Fjord, surrounded by woodland covered hills. The location gives Oslo qualities not normally found in a capital city. 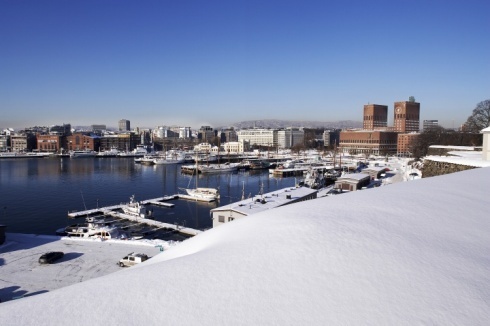 Oslo is Norway’s biggest city and has been the official capital of Norway since 1814. This is where the seat of Government and the Parliament are located, and at the end of the main street (Karl Johans gate) you will find the Royal Palace. 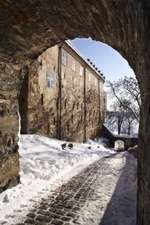 Oslo’s history goes back to around the year 1000. Since the Middle Ages, the city has gone through some big changes and has also changed its name several times. Ever since the Viking Age, Norway has fostered great explorers. Leiv Eriksson discovered America in the year 1000. Since then, the Norwegian peoples’ innate need to travel has brought them to the far corners of the world. In Oslo’s museums you may see vessels and equipment used on these great journeys.